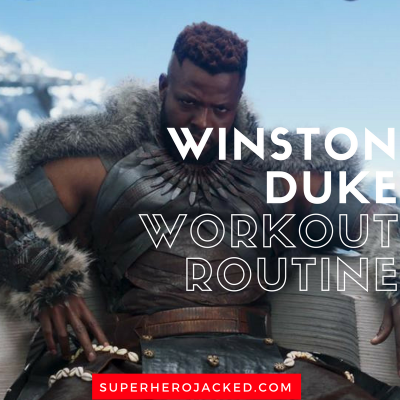 Winston Duke Workout Routine and Diet Plan: Train like the “Man-Ape” M’Baku! Black Panther and Killmonger weren’t enough for the SHJ Army. After Black Panther’s release I’ve had a flood of requests for more routines from the movie. One of which has repeatedly been Winston Duke. We’ve had Chadwick Boseman, Michael B. Jordan, and even a Black Panther hero workout – and now it’s time to get the big man himself on here! 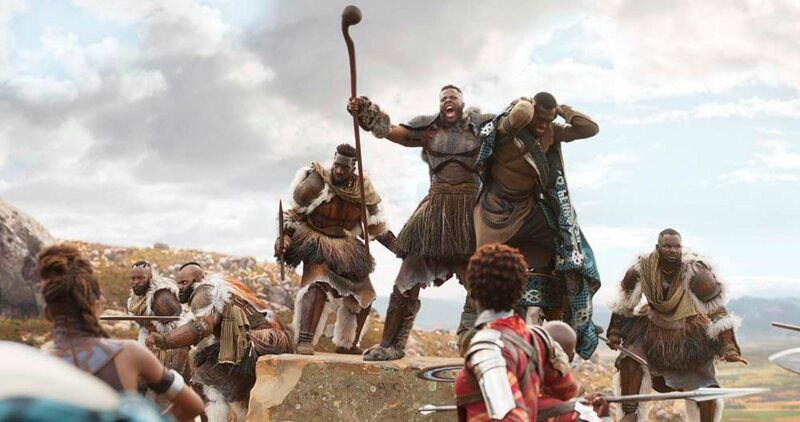 Are you ready to train like M’Baku? Winston Duke is a big man! He’s right there among some of the tallest guys we’ve seen on the site. The Mountain holds the tallest slot, but there’s a good handful at his range; like Dwayne Johnson, Joe Manganiello, Ben Affleck, Jason Momoa, and some others. The average height is just below that at around 6’1-6’3 range with guys like Chris Pratt, Chris Hemsworth, Chris Evans, Adam Driver, Joel Kinnaman, Tyler Hoechlin, Hugh Jackman, Stephen Amell, and so many more. And we also have a shorter range of celebs with men like Zac Efron, Kit Harington, Daniel Radcliffe, Mark Wahlberg, and a decent amount of other dudes we’ve seen. 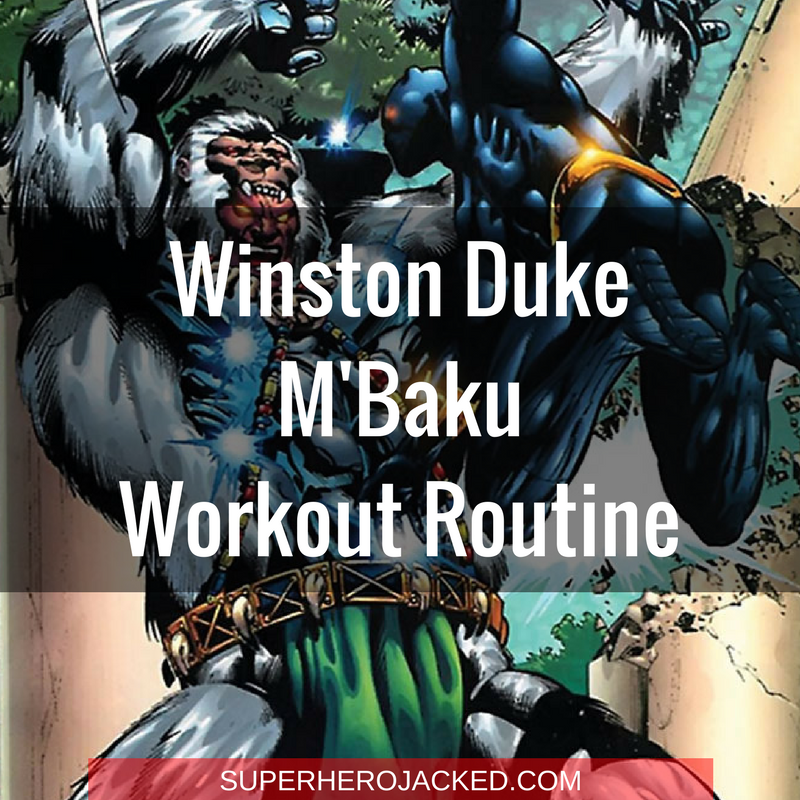 I write these routines to be utilized by any shape and size. 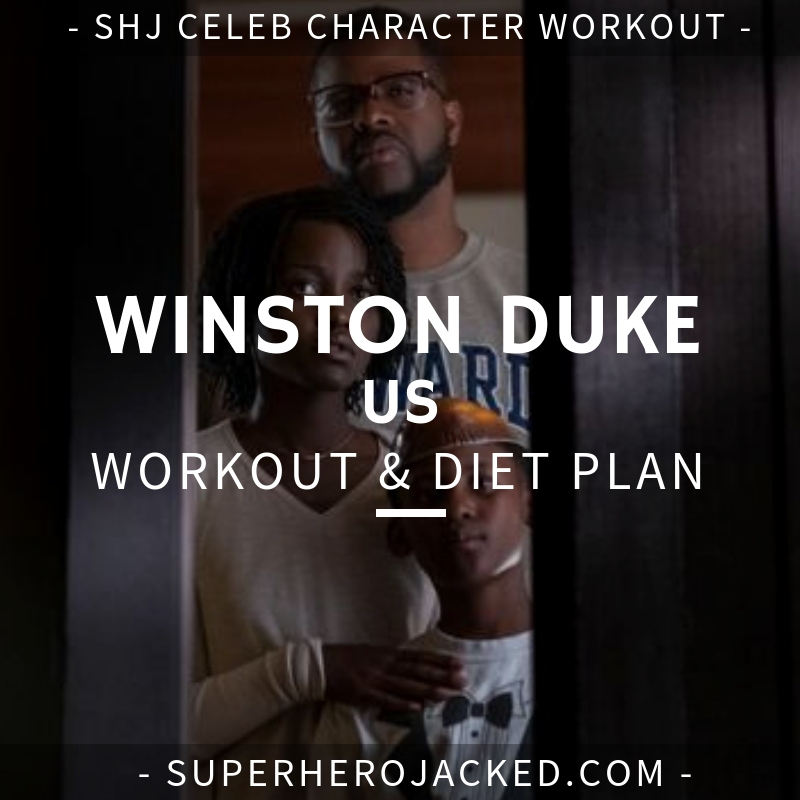 I actually found some really cool information about Winston Duke’s nutrition. 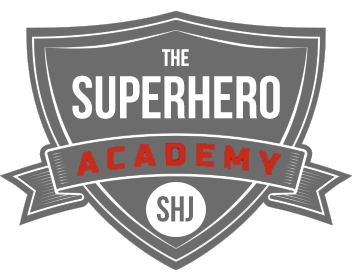 And by cool, I mean it fits right in with us at Superhero Jacked. “I’m in a cool place, kind of figuring out where I want my body to go next,” he says. 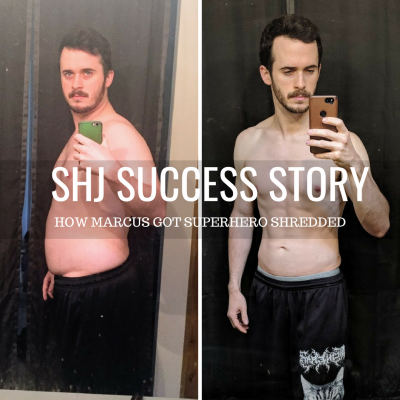 He’s started by experimenting with intermittent fasting and low-carb variations to lean out a little bit. He’s switched to three meals per day which can be unlimited veggies and seafood, but cutting chicken, pork, and beef. “I want more of a natural, manageable diet,” he says. And it seems like it’s working out. “I feel I don’t have any kind of exhaustion from consuming too many carbs and producing too much insulin,” he explains. Can someone say intermittent fasting, cyclical ketosis, and calorie awareness…!? That’s exactly what I use to form a sustainable diet, which is what we preach as the backbone of The Academy and the Nutrition Classes (Vikings, Monks, Samurais, SuperHumans, Hunter Gatherers, Minimalists, Spartans). 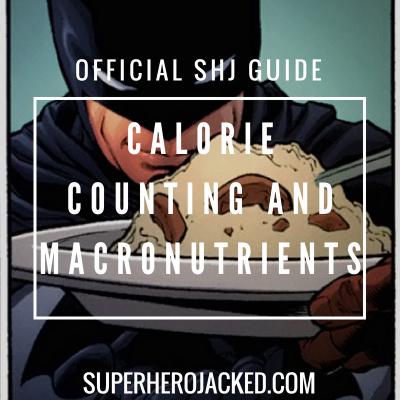 But, either way, go ahead and check out the Nutrition Pillars we have on the site and find what works for YOU! Similar to Chadwick Boseman and Michael B. Jordan, Duke trained like a “Man-Ape” for his role as M’Baku. Like many other celebs we’ve seen, his training volume was extremely high to get into “quick” shape, but something we wouldn’t find being very sustainable. But, we’ll work with what we have! He mentions his trainer even coming sometimes to train him at two thirty in the morning before he would go on set! I’m not sure how many of you are training at that hour, so hopefully we can find another way to fit it in. But, the important part to realize is how devoted these celebs are to their training – and how much they sacrifice and do to still fit it in. Winston Duke trained a TON for his role. I’m going to program you 4 days of weights, and another 2 days can be added for MMA style training as well.